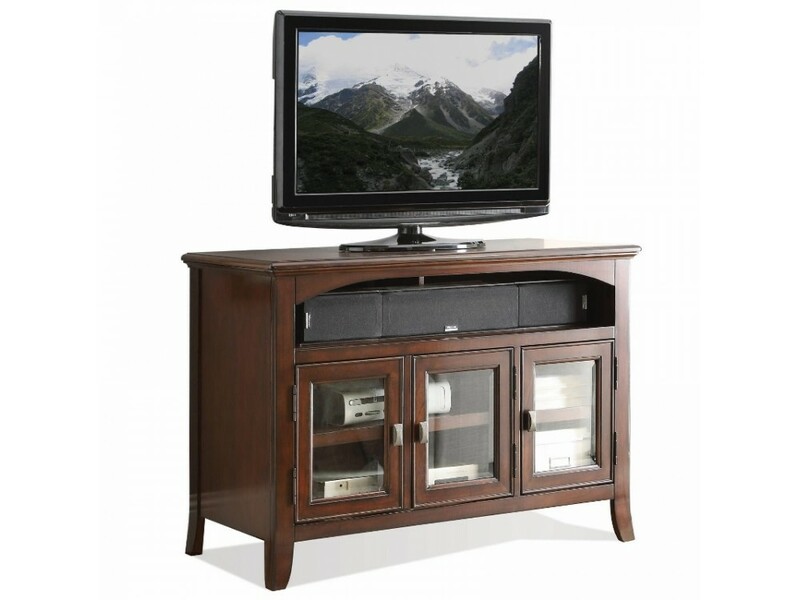 This Canterbury 42-Inch TV Console is part of the Canterbury collection by Riverside Furniture. The TV console is constructed of poplar solids with cherry and birch veneers and is finished in a rich Colburn Cherry. The console features two left doors and one right door have a beveled glass insert and each encloses an adjustable shelf, a top electronic storage area, and interior wiring access and ventilation cutouts. Dimensions: 42.00"W X 20.00"D X 29.50"H.